This course examines the issue of anger management and how teachers can identify the personal anger triggers and responses in students. Using a variety of control strategies to have student express anger constructively to deal with crises situations are presented. Activities and handouts are available to use in the classroom and counseling situations. The course expands the repertoire of interventions techniques for individual or group settings. Setting various realistic expectations for student's second-language proficiency are also presented. Educators will also research the topic of anger management along with an application essay or develop lessons for implementation. Educators will review the issues related to anger management and the traditional approaches that have been utilized to address anger in youth, society and schools. Participant will present sample lessons, key concepts, learning objectives and various approaches to develop working model lessons that they can design and implement. Educators will learn about defining anger acceleration, its sequences and methods to control anger responses. Handouts and strategies are provided for use in class settings. Participant will explore the use of coping strategies, self-talk and appropriate expressions of anger in group settings and how to apply them in counseling, school, home, work and personal relationships. 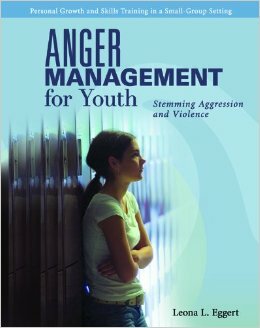 Educators will research a topic related to anger management and develop a written application essay and/or unit/ lesson plans or anger management processing activity for classroom or school settings.